When Java first debuted in 1995, it had a reputation for being slow and unresponsive. However, over the past 20 years, countless updates and modifications have turned it into one of the fastest general purpose programming languages. This webcast takes a tour through how the code we write in Java is transformed into bytecode, as well as how execution occurs. Practical performance tuning techniques and optimizations are then introduced to illustrate how to achieve performant execution, and we'll also reveal how these techniques can extend to languages beyond Java. 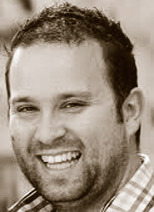 Ben Evans founded jClarity, a startup which makes performance tools for development & ops teams. His career highlights to date include: Chief architect for Listed Derivatives at Deutsche Bank, performance testing the Google IPO, initial UK trials of 3G networks with BT, building award-winning websites for some of Hollywood's biggest hits of the 90s, developing some of the UK's very first true e-commerce websites and providing technology to help some of the UK's most vulnerable people. 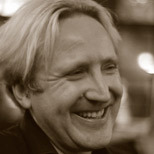 Ben helps to run the London Java Community, and represents the user community as a voting member on Java's governing body — the JCP Executive Committee. He is a Java Champion & JavaOne Rock Star Speaker. He is author of "The Well-Grounded Java Developer" & the new edition of "Java in a Nutshell". Ben writes regularly for industry publications and is a frequent speaker at technical conferences worldwide.